Comment: Five elements of the sea are depicted in this form. 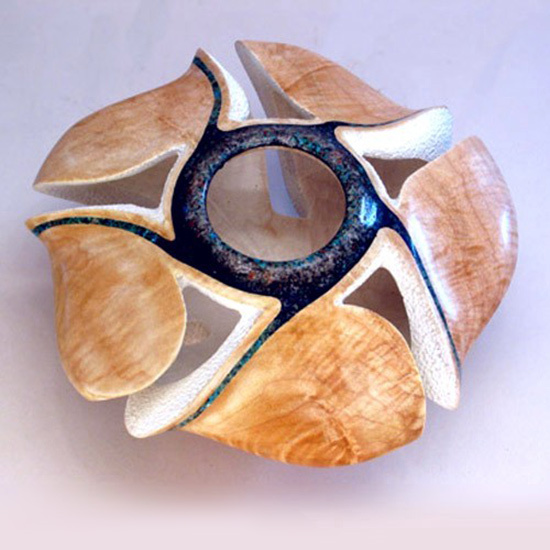 The beach (interior sandblasted and bleached), coral (carving and bleach), negative space forms a starfish, the exterior form represents waves, and the minerals inlaid are blue-green for the ocean color. In the art collection of the esteemed Bill and Kit Amos.